Nightlife in Dallas is similar to any other large city, however restaurants and nightclubs seem to be the favored venues for black entertainment in Dallas. Jazz and Blues both have historical roots here. Jazz remains very popular among mature black party goers. Neighborhood bars are not very popular here, but because Dallas is a major city most Black entertainers make sure the city is part of their tour. Every week there are singers, rappers, plays, comedians, etc. coming through town. 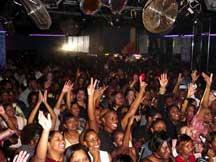 you will find that African American entertainment venues are spread throughout the metropolitan area. If you know of any clubs I am missing feel free to send me the info so I can list it. 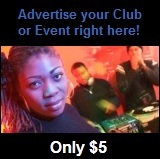 If you are a club owner I will list it free of charge. Click Here to and to submit club info.